Awesome acoustic show with Ben Ottewell of Gomez at the intimate yet noisy MilkBoy. It was a perfect blend of fantastic guitar playing, one of the best rock and roll voices I've ever heard live, and great songs. Notes Nov 29, 1994 was the last time I saw the Black Crowes. The band's surprise performance at The Trocadero under the name O.D. Jubilee Band gave my friend, Dave, and I a great night of music and a wonderful story to tell. 19 years later I finally get to see them again with, coincidentally enough, Dave. I walked out of that show thinking that Chris Robinson may be one of the best frontmen of rock. He's up there with Eddie Vedder, Roger Daltrey, Robert Plant, and Chris Cornel -- great rock singers with incredible stage presence. I couldn't take my eyes off him. Well, actually, I did, a few times to watch two young twentysomethings girls shaking their money makers with every song. 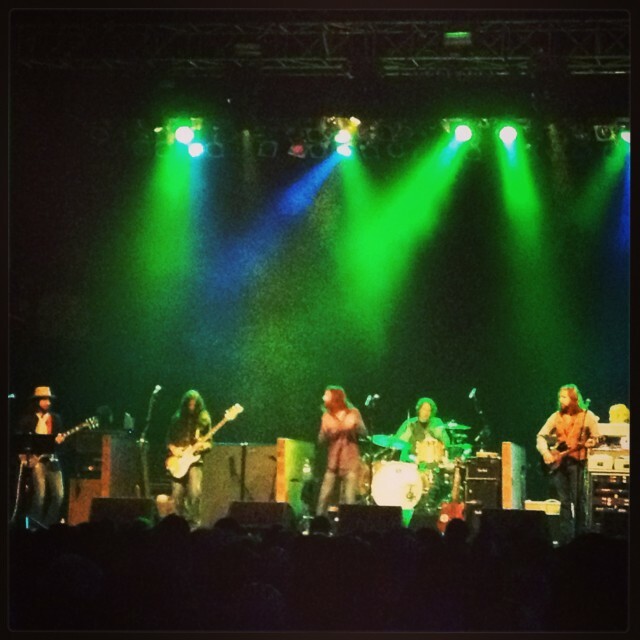 I look forward to seeing the Black Crowes again, with Dave, soon and not 19 years from now. Notes My first concert: Genesis. 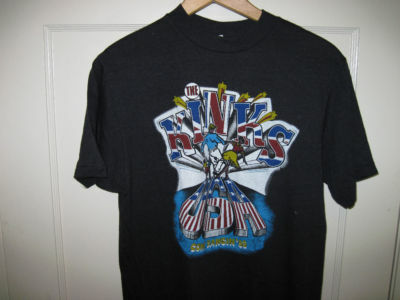 At this time in my life -- days out of 8th grade -- I was not a Genesis fan. But Tom Hartman was and he asked me to go with him. "Don't worry," he said, "my Mom will drive." I don't remember much of the show except that our seats were not very good (3rd level, stage left) and there was a guy smoking something illegal near where we were sitting. I remember Tom saying, "I think its opium." Looking at the setlist from that night and knowing what I know now about Genesis -- we saw a good show. The band was still very young (Phil still had hair) and was just about to turn the corner into the main stream, radio friendly Genesis that (I'm embarrassed to say) I saw many times thereafter. The 1980 Genesis was still "Art Rock" and music and happily the length of the song still mattered. I can't remember how many concerts I saw in my life. But I'll always remember my first. Thanks Tom. And thank you Mrs Hartman for the ride. Notes My first U2 was very spur of the moment and completely unexpected. I worked at WMMR in Philadelphia and the station was sending listeners to The Meadowlands to see U2. The promotions director, Ray Koob, had a few extra seats on the bus and asked me if I'd like to go. One minute I'm getting ready to go home and the next I'm on a bus heading to North Jersey to see one of the hottest bands in the world. The show was, to put it simply, amazing. U2 was at their top of their game and loving every second of it. The band had transcended from a "new wave band" to rock superstars. They played eight songs for their new album The Joshua Tree including "With Or Without You." I recall Bono saying that Billboard had just announced that "With Or Without You" was the #1 song in the country. What a moment! U2 closed the concert with "40." I remember as we walked out of the stadium everyone was still singing, "How long to sing this song?" I was really excited about this concert. It was Janet's first ever concert tour and she was supporting her 1989 album Rhythm Nation 1814, a fantastic album I might add. The show, however, was in a word - boring. Sure, there was dancing and video and costume changes and more dancing but her performance was lackluster and I felt like she never really connected with the audience.